A Northern base socio-cultural organisation The Arewa Consultative Forum (ACF) and a South South base Itsekiri Leaders of thought (ILT) has said that they have resolved to work together as Nigerians. In a communique jointly signed by Ibrahim Coomassie chairman ACF and Chief Isaac Jemide leader of the Itsekiri delegation to ACF also call on the Independent Electoral Commission (INEC) and other stakeholders not to contemplate postponing the february elections under any circumstance. 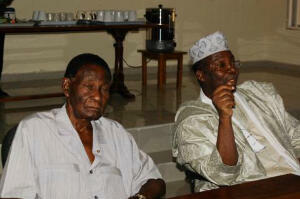 “We therefore reaffirm our belief in one Nigeria and the confidence in the role election plays in a democracy. They said. They advised that the nation should sustain the current democratic system and that it should not be tempered with the electoral process.